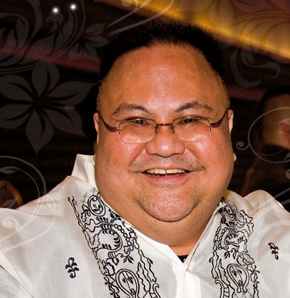 Today, we will remember a dear soul, Peter J. Corpus. Peter left us too early and so unexpectedly before Thanksgiving. Peter has worked tirelessly for the good of all people, especially the Asian American, Pilipino with Search to Involve Pilipino Americans (SIPA), and GLBT communities. These memorials from API Equality-LA, GAPSN, Asian Journal and LA Times say it all. Peter and I met when we worked together at Project Angel Food in the late 1990's. Project Angel Food is an amazing non-profit that prepares and delivers meals to those with HIV/AIDS and life-threatening illnesses. Along with John, Christopher, Helen, Jami and Racheal, we formed a great group of fundraisers and admin staff. Those times together are remembered so fondly. What a nice remembrance of Peter. I had forgotten about his knock-knock jokes. I still have two little stone frogs that he gave me when I left PAF, explaining that in Philippine and Asian culture they represented good luck. What a great guy! blessings to his family & friends. I will say a prayer for him and his family. I am sorry for your loss. Hugs.